The Privilege Month for the Warriors will be from September 11th to October 7th! It is the time for the Warriors to enjoy several privileges! Let’s check it out. 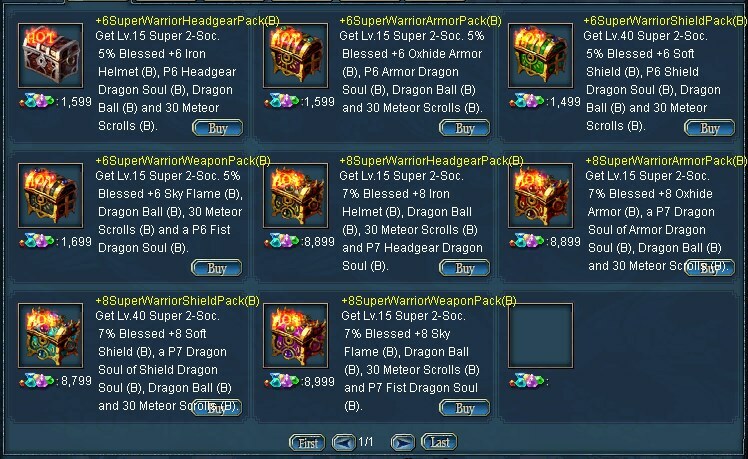 During the event time, once a warrior logs into game, he will receive a Rising Warrior Pack in his inventory, so make some room in your bag if it is full. The pack can be opened once a day for 30 days. Check out what you can get from the pack. Note: EXP Protection allows you to not lose EXP when killed by other players. 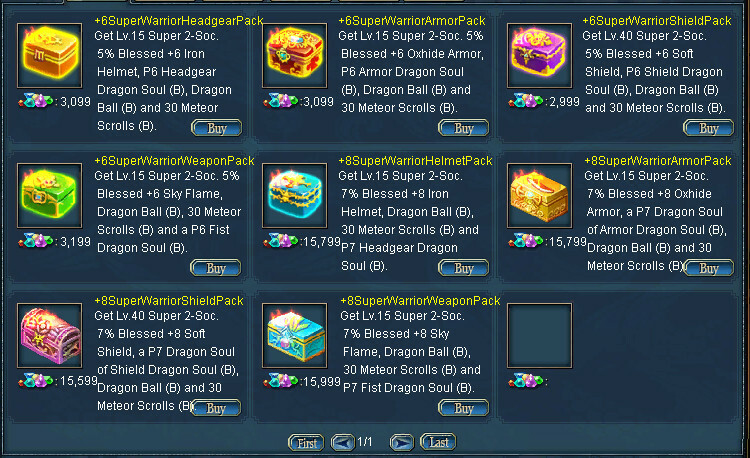 You can buy normal equipments from MerchantPakku and bound equipments from VIPEnvoy, check out the detail below. Note: there is no limit for how many items you can purchase from the NPCs. From September 8th to October 7th, once a warrior use 7 Chi Tokens, he will get a Warrior Star Token, give it to Treasury Keeper to enter Warrior Treasury. Note: The Token will expire in 24 hours, make sure you use it in time! Keep in mind that you can only stay in the Treasury for 10 seconds! The rewards scatter on the ground, what you need to do is picking up as many as you can, make sure you have enough rooms in your bag before you enter the treasury! There are so many rewards, pay attentions and pick better rewards up first!